As the countdown reached zero, Nokia was quick to introduce a total of three new phones, designed to satisfy your messaging and social networking needs. It isn't the high-end N8-00 Vasco, but instead we got treated to one affordable, one mainstream and one mid- to high-end handset, all equipped with QWERTY keyboards. 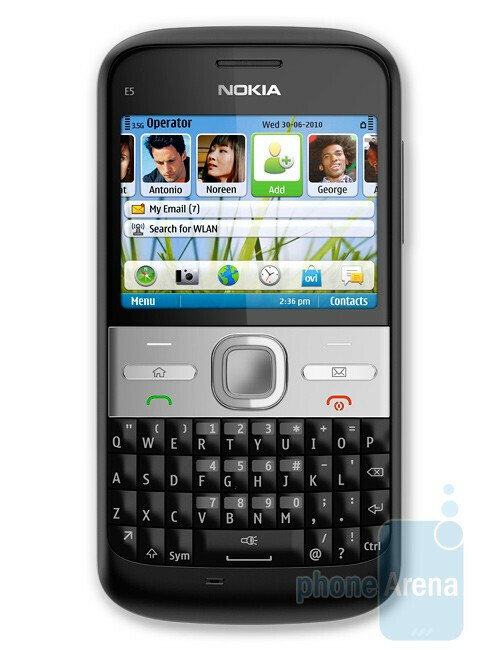 The Nokia C3-00 (or simply C3) is a budget Series 40 solution with 2.4" QVGA screen, Wi-Fi, 2MP camera and 3.5mm jack. Its homescreen should provide you with quick access to your social network accounts. The Nokia C3 will hit the streets in Q2 at a retail price of about $122 (EUR 90). Next we have the Nokia C6-00, which positions itself significantly higher in the hierarchy of devices, sporting a 16:9 3.2" touchscreen and slide-out QWERTY. Other hardware goodies that have found their way onto the C6's body include a 5MP camera with flash and autofocus, Wi-Fi, GPS and 3.5mm jack. It is, of course, powered by Symbian^1 (S60), so nothing new under the sun here. Not surprisingly, users will have access to a plethora of Ovi services, including Store, Music, Chat and Mail. 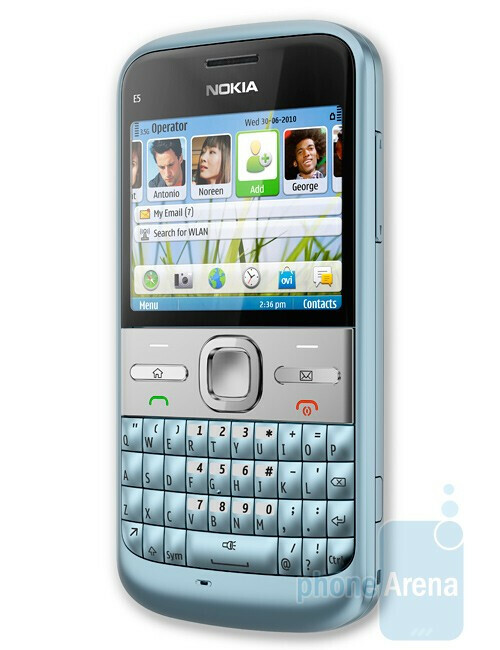 The Nokia C6 will be available in Q2 for about $300 (EUR 220) retail. 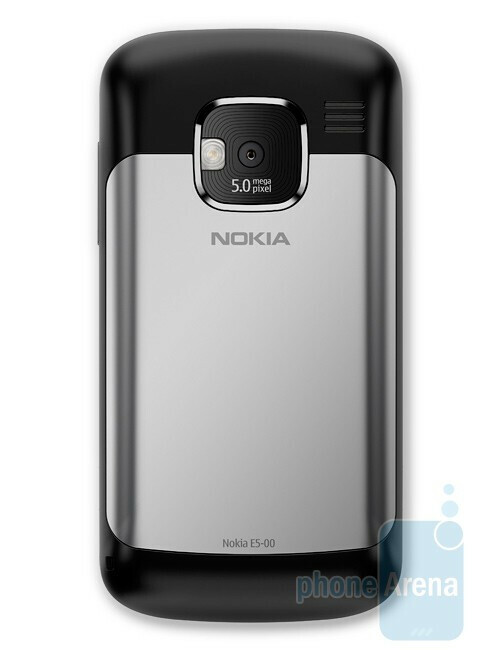 Finally, the manufacturer announced the Nokia E5-00. 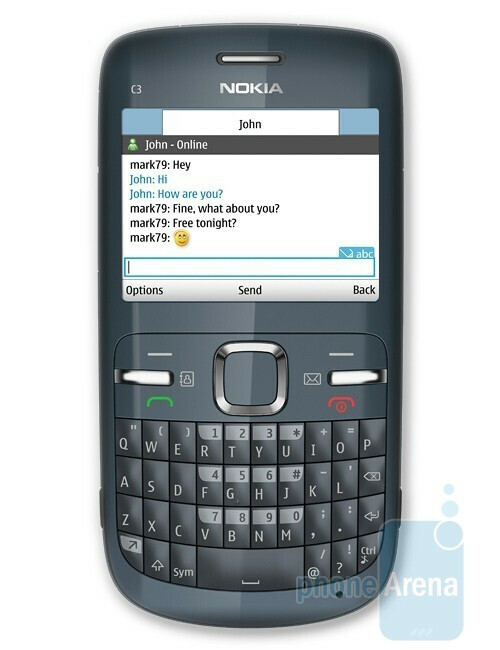 Coming in Q3 at a retail price of $245 (EUR 180), the Nokia E5 will build on the success of business devices like the E72 and E63. 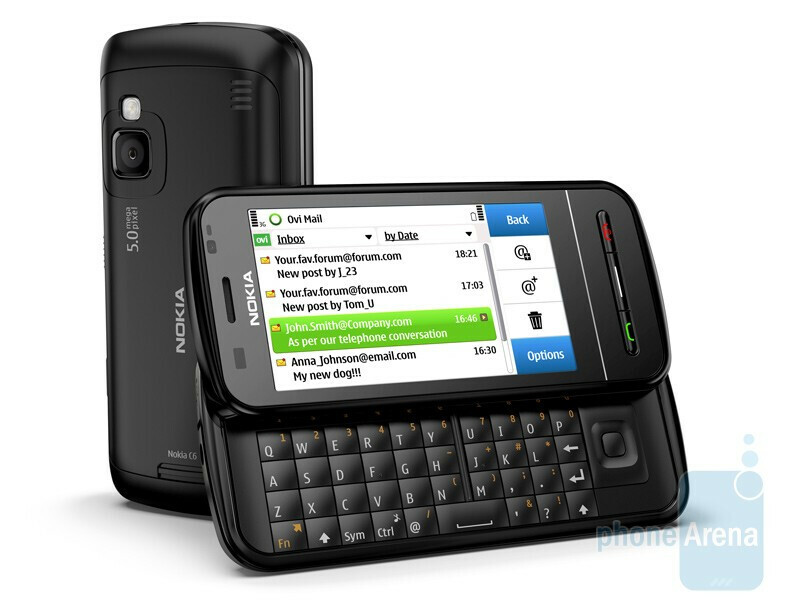 The Nokia E5 will rely on a 2.4-inch QVGA screen, 5MP AF camera with flash, Wi-Fi, GPS and 3.5mm jack. 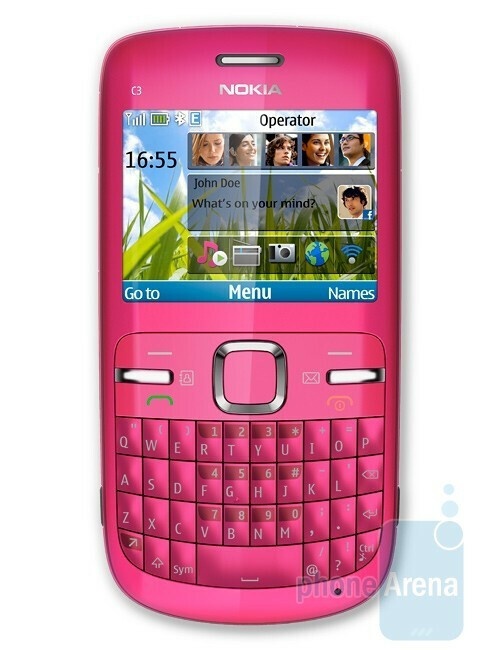 On the software front, it will be powered by the Symbian S60 3rd Edition OS. Nokia, you've done it again! I really don't see any advantages over E72 and N97, just a prettier package. I think there's no need to upgrade here. Definitely not upgrade worthy (until a proper review has been done), but for sure worth picking up considering the low unsubsidized price!! I really wish they would put a touch screen to this unit. For me the most useful phone shape is a candybar with full keyboard and a touch screen, like I had on my ages old Sony Clie Palm. Then this would really be worth buying. Now I'll still stick to my E71.